Our theatre students will be performing this musical on May 16th, 17th, and 18th. Please see the link for more details. Our school-wide barbecue sale is May 2nd. Plates are $10 and can be purchased from students or at the Discovery office. Plates include pork bbq, chips, slaw, beans, bread, and dessert. Please help us out by buying a plate(or two), donating items for the barbecue, or spreading the word. Students may purchase a ticket for their lunch and we will be serving at South Side Park in Newton from 11-2 on May 2nd. Please let us know if you have any questions and, as alaways, thanks for supporting Discovery High School. Please see the attached letter that explains how DHS will handle this year's Math 1 and Math 3 state test scores. Please read the attached letter that describe the partnership that DHS has with K-64 for the 2019-20 school year. 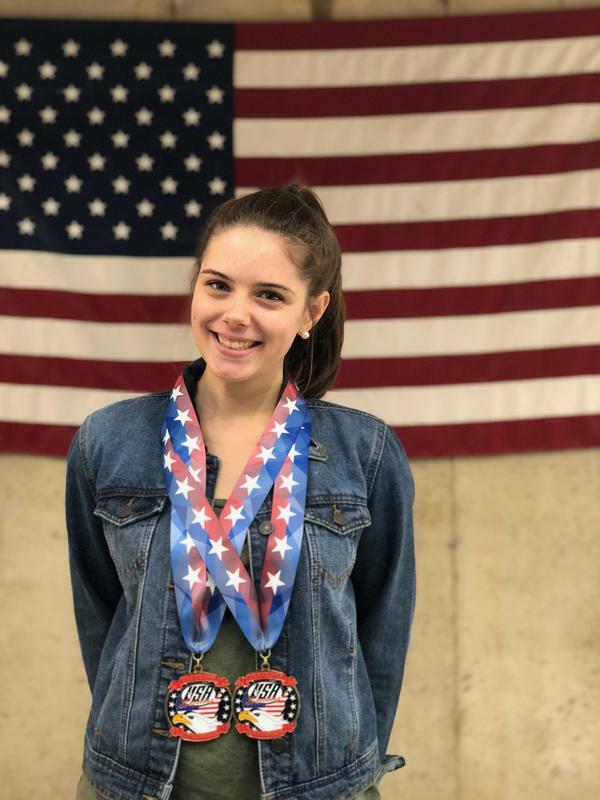 In December, Katie Ezell was awarded medals as the NC Jr Olympic Champion in smallbore and air rifle. She will represent NC in the National Jr Olympics in both events back at the Olympic Training Center in CO in April!